Hulls Andrew Robertson är enligt samstämmiga uppgifter på väg att bli en del av Liverpool Football Club, om läkarundersökningen går som den ska blir han den spelare som ska konkurrera med James Milner om platsen till vänster i backlinjen. Vad är det då för spelare vi får till klubben? Peter Johnson från @HCAFCTigerlink tog sig tid så här i sommartider att berätta lite om den skotske 23-åringen. Han passade också på att berätta om statusen på den klubb som ser ut att bli Kevin Stewarts kommande arbetsgivare. He’s improved a lot defensively but his heading could be better and he can dive in from time to time. 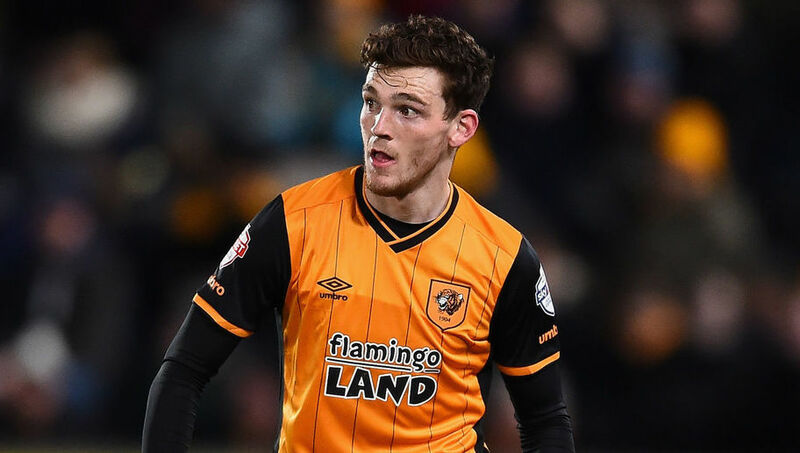 As a youngster he was rejected by Celtic for being too small, but he’s gone from Queens Park to Dundee United to Hull City in the Premier League in just a few years. He already has international caps for Scotland and scored against England a few years ago. 2. What role did he play for Hull last season and how would you rate the season he made? Andy largely played as a wing back for Hull City last year. We didn’t see the best of him towards the end of the season, but bear in mind he spent a large proportion of many games pinned back in his own half defending in a struggling side. With Liverpool we hope he will have more opportunities going forward and when his confidence is high he will run at defences at pace and whip/curl in hard crosses. He has real potential and it’s a question of whether it happens for him as he takes a further step up in class. 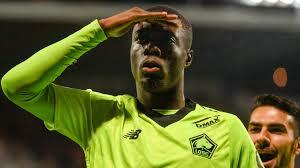 He has been a very popular player at the KCOM, and Hull City fans will follow his career with interest. He could be value at £8-10 million. 3. For Liverpool he is signed as competition for James Milner, do you think Robertson will be Klopp´s first choice when he is settled? 4. Finally, you are about to sign Kevin Stewart from us, what are your thoughts on that signing? Yes there’s talk of a permanent transfer for Kevin Stewart plus a loan deal for Ryan Kent, although there’s been some confusion in press reports about whether the Kent deal is loan or permanent move. As some Liverpool fan groups have pointed out on Twitter, £8 million has been mentioned for Stewart and this looks good business for Liverpool based on his achievements to date. Hull City is a Club on the edge of crisis with dreadful owners in charge and a mass exodus of quality players following relegation from the Premier League. 17 players have left Hull City since last season (this includes loanees returning to their parent club) so we are desperate for replacements and will be vulnerable and in a very poor bargaining position when it comes to fees. So Liverpool may get a great deal with both Stewart and Robertson. Many players have already left us in the last few weeks for ridiculously low fees. For example, Premier League regulars Curtis Davies, Eldin Jakupovic, Tom Huddlestone and Ahmed Elmohamady were sold and cost less than £6 million in total. Acting Hull City Chairman Ehab Allam is inept in all football matters but sticks his nose in everything and many feel he is slowly destroying the Club. We need new ownership as soon as possible. Det är ju synd att Hull har problem med sina ägare. Vi vet ju hur det känns. Men medans £8m för Stewart är bra business för Liverpool så tror jag Hull får en spelare som är värd pengarna. Han är ingen som står ut men är en mycket lugn och säker spelare som kan bli dominant i the Championship. Kommer fortfarande ihåg hur han satte stopp på Barca under förra sommarens försäsongen. Även ett halvt lunkande Barca är ett imponerande lag. Han har en hög högsta nivå som skulle se honom i ett mittenlag i PL och en lägsta nivå som fortfarande skulle kunna göra honom till en nyttig spelare i ett bottenlag i PL. Tror både Hull och Liverpool kommer ur den här affären med leenden på läpparna. Hans potential är för låg för Liverpool men kan göra honom till en ledande figur i ett lag som Hull.